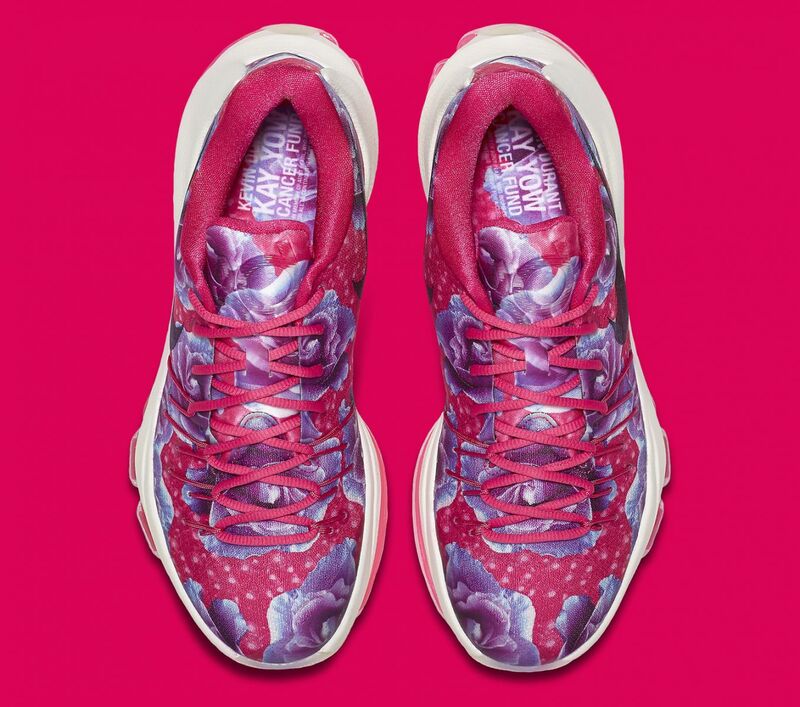 The yearly Aunt Pearl colorway in the KD line will be dropping soon. Drawing inspiration from KD's Aunt Pearl who died from cancer. 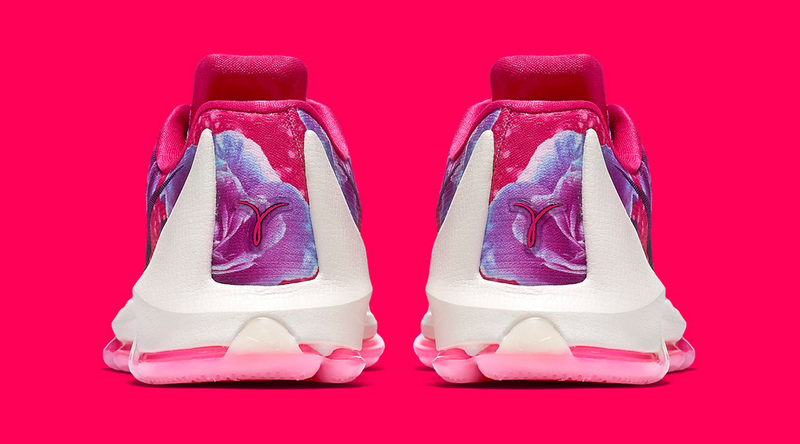 Since she played an important role in Kevin Durant's life, this colorway was made to pay respect to her. 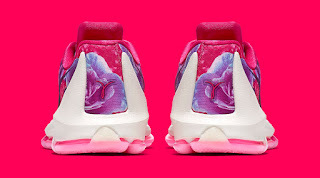 Utilizing Nike's Flyweave upper, rose graphic print can be seen throughout the shoe's upper while a clean white midsole with pink Zoom Air cushion and outsole. The shoe drops on February 22, 2016 for $200.